Let’s just start by saying I am not a golfer. Not in any way, shape or form. But if you ask about my family? Well, every single one of them golfs. Constantly. On the same course. For years people! Growing up surrounded by golfers has sort of made me a 3rd party expert on the sport and a sort of expert when it comes to purchasing golfing doodads. 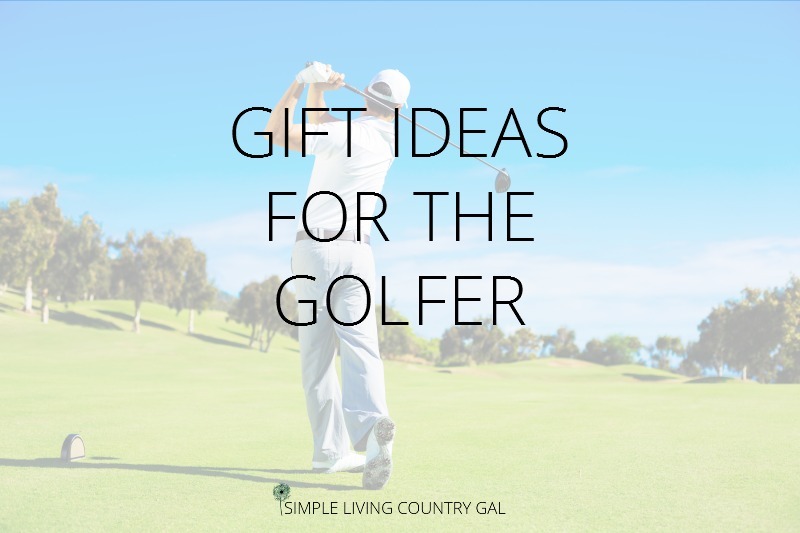 Here I have compiled (with the help of my amazing golfer dad)a list of top gift ideas for the golfer no matter what the skill level. Pick and choose and grab the perfect present for the golfer in your life! Golf Balls. This is by far the place you need to give the most attention. The ball can make or break your game so just picking up a box at a discount store won’t cut it. Especially if your golfer is a serious golfer. Below you will find a selection of balls that will make any golfer happy. The new tech gadget for golfers (yes, even golfers love their techy things!) is the golf laser. These show the lay of the land and where the greens slope and curve. This helps your golfer understand the type of club to use and the spin needed if any. Repair kit. Even the casual golfer would love to have a repair kit on hand for quick fixes. All of these kits were picked by my Pops and he assures me will be a great gift to receive. Head covers for the golfer, keep those clubs protected. And of course you know I had to add a fun one to keep you all on your toes! Who doesn’t want a Yoda head cover this Christmas? Golf clubs. Single clubs that come recommended by a veteran golfer. I am told any of these options would be an amazing gift, just make sure of the size before you confirm your purchase. Random golf goodies! As I was compiling this list I realized how expensive this hobby is. (and hubs said goats cost a lot of money, well at least I get milk out of the deal!) I figured I better include a few inexpensive options just in case some of you (like me) are on a budget this holiday. Golf clothes. You gotta look good, right? 🙂 Find the perfect outfit for the golfer in your life. This is just a sampling of all that there is out there! I hope these ideas will help you to come up with the perfect gift this holiday season. For years I had no idea what to get Hubs who loves this crazy sport, but now I am armed with these uber awesome ideas!